Clear undisguised pictures of the Mahindra ZUV500 facelift are out. The SUV should be launched sometime in the second half of 2018. The fact that Mahindra has been working on a facelift of the XUV500 is no secret. 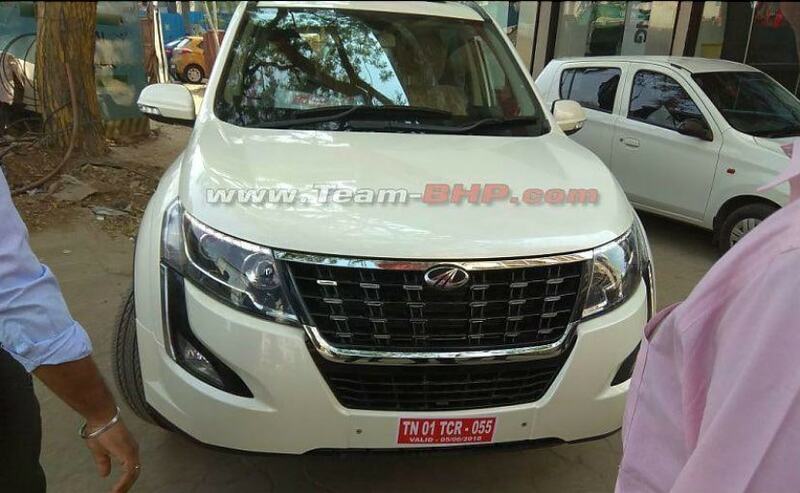 And now, we finally have pictures of the XUV500 facelift undisguised. The XUV500 is currently Mahindra's flagship model selling in India. 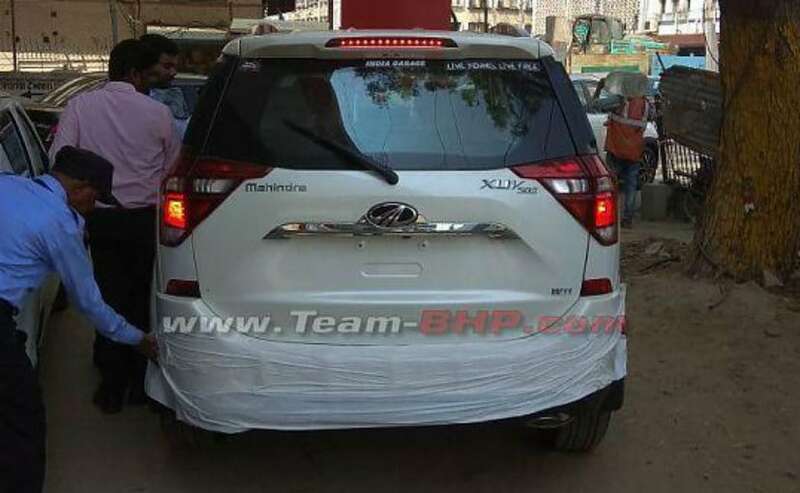 While the pictures are already out, Mahindra has not communicated a date yet for the launch of the 2018 XUV500 facelift. Mahindra will offer both the 2.2-litre diesel engine and the 2.2-litre petrol engine as well. Both engine options could get the six-speed manual or the Aisin sourced six-speed automatic gearboxes. From the photographs, it can be seen that there are quite a few updates to the exterior. Firstly, the face gets a redesign, with a new bowl-shaped six-slat grille with chrome inserts being employed along with updated headlamp cluster. The LED daytime running lamps in the cluster are now placed as strips on the top. The photograph of the rear shows that the tailgate design is new, with rounded edges. The tail lamp cluster too has been redesigned, with the old vertically stacked units being done away with. Those are now triangular in shape. The rear bumper too gets a mild tweak in terms of shape. While we cannot see the alloys here, but Mahindra will be offering diamond cut alloy wheels on the XUV500 facelift, although these might be offered only on the top-spec petrol and diesel variants. The lower specs will get the regular designed alloy wheels. The exterior does get a quite a few changes and we expect the interior to be spruced up as well, even if it is not exhaustive. Reports suggest that the leather upholstery will be of better quality and the centre console could get piano black finish apart from other updates to the features and convenience list. We expect a small bump in the prices of the Mahindra XUV500 facelift when it is launched.